LOCAL vendors exhibited their stock at Pateley Bridge’s festive primestock sale, where the beef prices topped at 395p/kg (£2,666), setting a new market record. 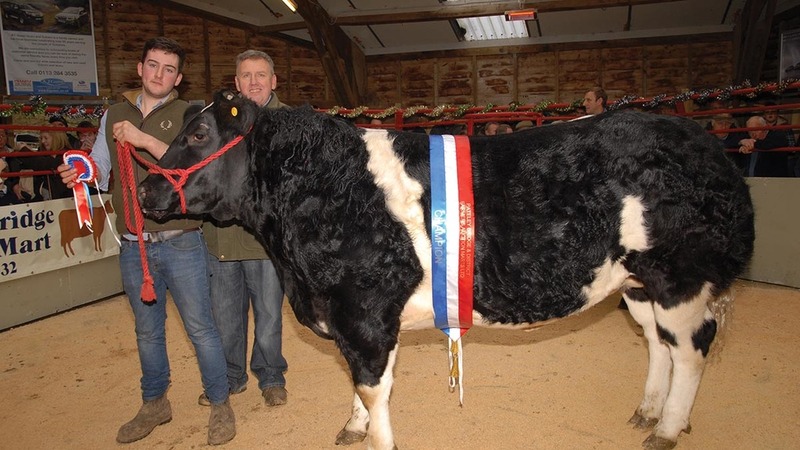 This was paid for the champion, a British Blue cross heifer from L. Rodney, Masham, which sold to the judge, N. Dolby, who bought on behalf of Kendalls Butchers, Pateley Bridge. Reserve was a British Blonde steer from J.A.S. Stoney and Son, Pateley Bridge, which sold for 300p/kg to D.D. and E. Bates, Penniment. Prime lambs topped at £120/head for a pen of Beltex crosses from Messrs Stoney, while the championship went to R. Peel and A. Bradley, Glasshouses, with a pen of five Beltex which made £118/head. Auctioneers: Pateley Bridge Auction Centre. Next Article £900 per kg truffles being grown in the UK - the start of a profitable industry?